Expect to hear Sonny's famous blues singing! The money raised goes directly to Sonny, and will make his trip to see family in California possible. Can't attend? Consider making a donation. Sonny Simmons made a strong impression in the 1960s as one of the most promising avant-garde players. He grew up in Oakland, California, started playing English horn, and then at 16 took up the alto. He is known for his work with Prince Lasha, Eric Dolphy, Barbara Donald and more. He has recorded for ESP Disk, including his great 1966 release Staying on the Watch​. 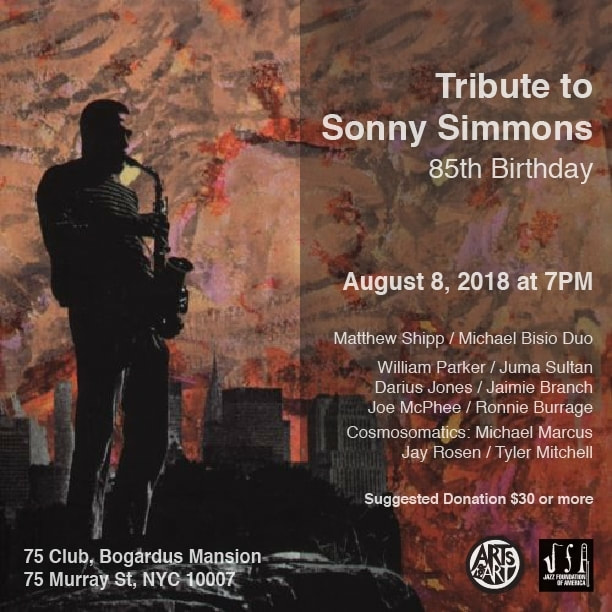 This tribute concert includes performances from friends and collaborators from across Sonny's long career.